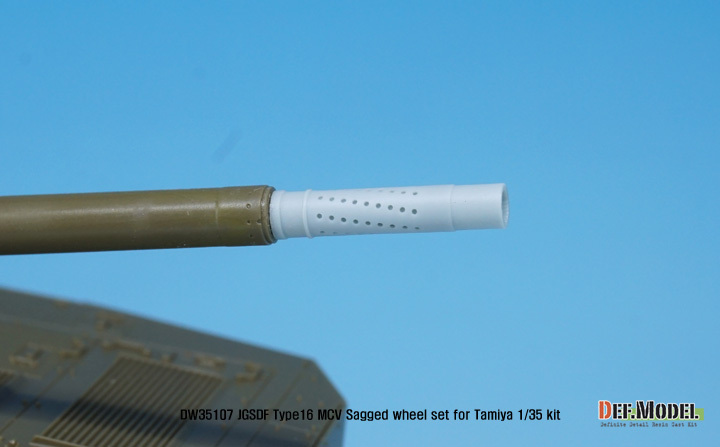 JGSDF latest combat vehicle Type 16 MCV sagged wheel set for Tamiya 1/35 kit. Produce JGSDF used L302 tire - Bridgestone 395/85 R20. 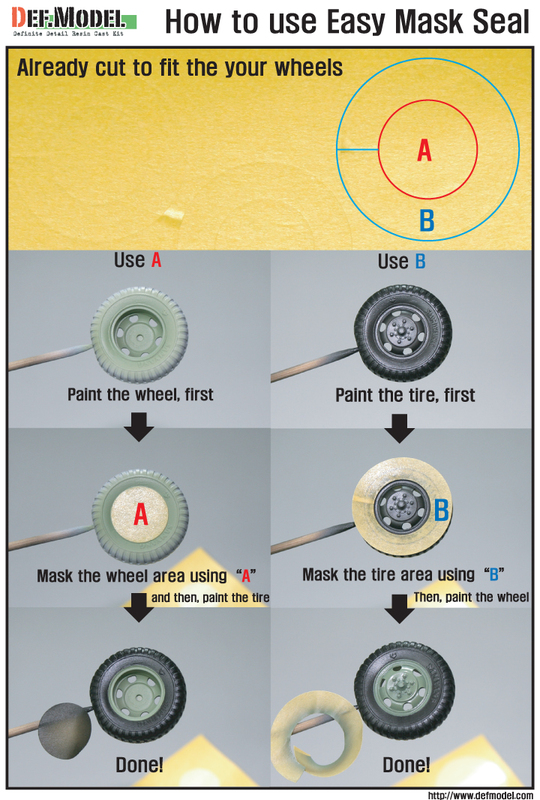 Correct tires tread pattern, Fine detail wheels. 4 kind of different pattern directions weighted wheels x2. Specially included 3 kinds of wheel stopper and resin muzzle brake part and Easy wheel mask. Total 15 resin parts & Wheel mask.